Why should I use a buyer advocate? To make a more informed, better buying decision and not miss out. The selling agents are there to represent the vendor only, and to maximise the price a buyer pays. Hiring a good buyer advocate to represent you, the buyer, gives you the best possible opportunity to 1) secure your home and 2) secure it at the right price. Our goal is to minimise the time to purchase, however it does depend largely on your requirements and the homes available. We would always recommend waiting for the right home to present than to buy something quickly that may not be quite right. In Melbourne’s Inner East and South Eastern Suburbs. Classical look – how will this look in ten years time? Do you represent vendors also? No. We only act for buyers but can give basic selling advice to our existing clients if need be and suggest names of the better selling agents they should be talking to. How much notice do I need to give you to act for me? Not much at all. Generally 24 hours would be a minimum in order to get required due diligence undertaken. 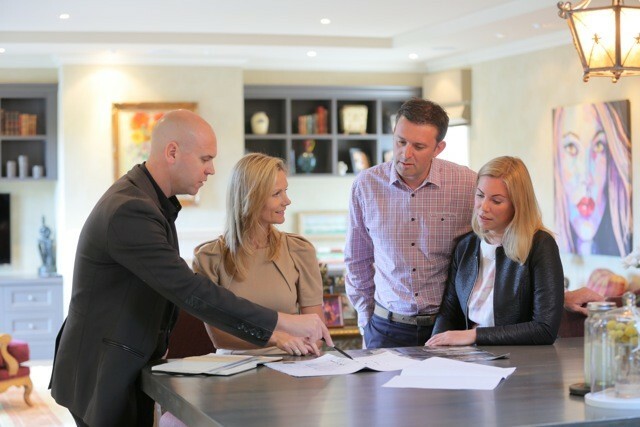 We have tried and tested systems that help with all of this and having two key directors as principal buyer agents ensures balanced views and opinions. How soon can a building and pest inspection be undertaken? Depending on availability, these can be arranged within a few hours. What if you have two clients interested in the same house? This is an unlikely scenario. However, if that were to happen, you would be informed immediately. Steps would be put in place to keep you informed and your privacy would be paramount. Do you receive third party commissions? No. However, we do direct you to building inspectors / lawyers / etc. and our ongoing relationship with them (i.e. repeat referral business) is to our clients’ benefit in getting responsive and reliable service. Fees – how much do you cost? There are no fees payable until you buy and no upfront fees. When you buy your new home, our fees usually range between 1-2% of the purchase price. (plus GST) depending on the services you require. There are many ways in which we can save you money – strategy, and timing are two examples. Ensuring you don’t buy the wrong home – stamp duty alone is usually 5.5 per cent of the purchase price. You will decide what you pay for a home – not us. We are your pathway to the right information and outcome. A property that is not advertised publicly (i.e. on the internet, via the newspaper or with a sales board). As a buyer, if the property suits your needs, you need to ask the right questions of the owner/selling agent, as a lot of time, energy and resources can be wasted in trying to buy an off-market home. We can help with this, and provide a buying opportunity that otherwise would not have been available. Why would a property be sold off-market? Privacy, no upfront expenses (i.e. advertising), timing (i.e. not tied into school holidays), less stress, less preparation needed on the house to make it ready for sale and these are only some of the reasons.